I just noticed earlier today that I was nominated for a Liebster Award! Thank you so much Beauty and a Little Extra! 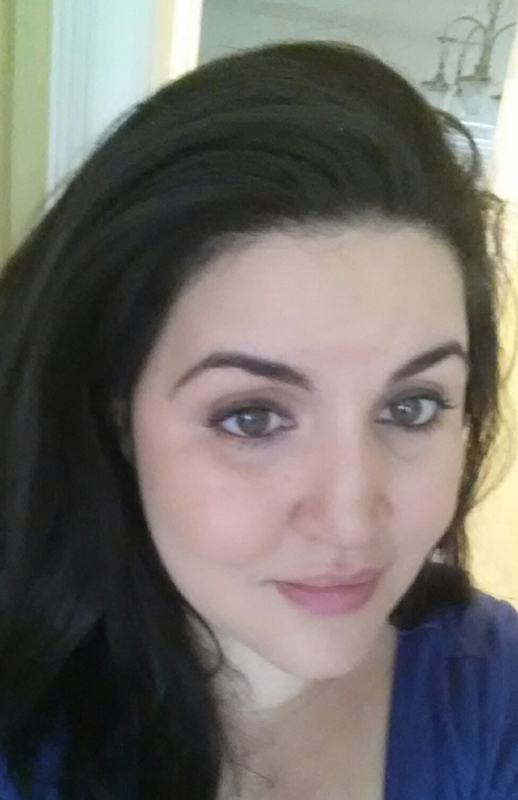 I love her site- I especially love her post about a gold daytime eye look. 1) Thank and link the person that nominated you. 2) Answer the 11 questions asked by the person that nominated you. 3) Nominate 5-10 blogs with under 200 followers and link them. 5) Notify your nominees via social media. If you had to choose one meal for the rest of your life, what would it consist of? It would probably be a salad with gorgonzola and balsamic vinaigrette with crusty french bread to soak up the vinaigrette- yum!! 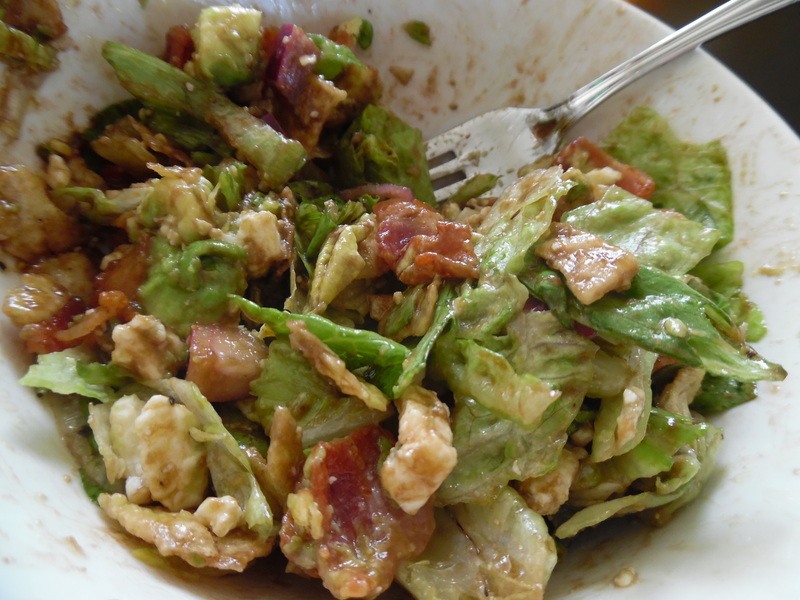 One of my favorite meals- love a balsamic vinaigrette! Blush or Bronzer? 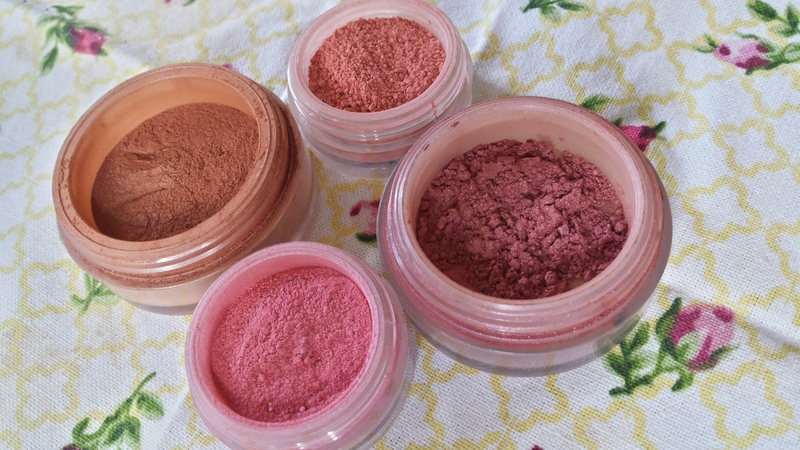 In the winter blush is a must for me- it gives me that pop of color. In the summer I like bronzer because it looks more like I’ve had sun. What is your favorite all-time lipstick? There are so many MAC and bareMinerals colors I like- I can’t pick one! 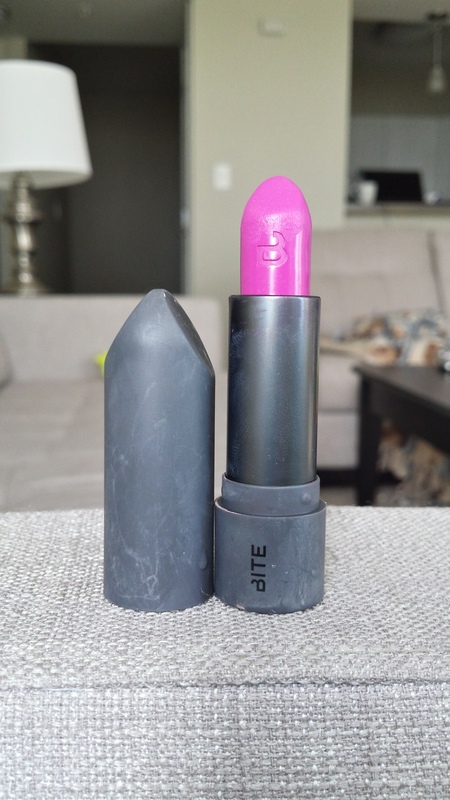 I also love Bite Beauty’s violet lipstick. The color is so bright and pretty! Have you ever been outside of the country, if yes, where? I lived in Canada when I was a lot younger and also I got the opportunity to study abroad in England when I was in college. I loved the experience and want to go back! Who is your current role model? My mom is my role model. She was such a sweet, patient mother- it is the way I want to be with my two sons! If you had the chance to raid a celeb’s closet, who would it be? I love the classy style of Katie Holmes- classic style. Heels or flats? I always wear flats- heels unfortunately kill my feet! What is your favorite show right now? My husband and I love Madmen and are in withdrawals now that it is over! What is your staple piece of jewelry? I love just a pretty stud earring. I have some turquoise blue and silver ones that I love right now. What is your favorite make-up brand? There are so many but right now I am very into bareMinerals. I love the lipsticks- the colors are all so great and they feel good on your lips- they are moisturizing and good for your lips. And I love all of their blushes and cheek colors. Finally, If you had to be an animal, what animal would you choose? I would be a dog because they provide so much joy to people! 1. What is your favorite foundation? 2. What do you apply your foundation with? 3. What is your skin care regimen? 4. What makeup brands do you love? 5. What makeup products do you splurge on? 6. What do you love so much about makeup? 7. What are your favorite eye shadow colors? 8. What is your favorite mascara? 9. Pressed or loose powder? 10. What brand brushes do you like? 11. What concealer can you not live without? I am pale. Very pale. All through the year I use blush and bronzer- but during the summer I amp up the bronzer. I don’t get tan- I use SPF 85! So I fake it with bronzer. One of my favorite ones is a bareMinerals product. Not surprising- I love their products. Warmth is one of my favorites. One of the best things about it is it is layerable. You can wear it lightly to just provide a little sun to your face. Or you can amp it up. It is great for my sensitive skin. Also one $20 container lasts forever. I love, love, love this product. I also love their cheek colors. I have Giddy Pink, Laughter and Aubergine and they are all great. They provide beautiful color without irritation. I can’t rave enough about them. Also, as I talked about in my post Breaking the bareMinerals rules, you can mix and match them with any foundation! The beautiful bareMinerals I have- Warmth, Laughter, Aubergine and Giddy Pink. I recommend them all for a touch of color or more intense if you layer them. Another bronzer that I just found that doesn’t bother my skin is Neutrogena Healthy Skin Blends in Natural Radiance Bronzer. It provides a pretty light color- it is subtle. But if you are looking for a more natural hint of color- this is what you need. It is great no matter how sensitive your skin in. And for around $11- it is a great price. The Neutrogena bronzer. I swirl my bareMinerals brush around all of the colors and apply. 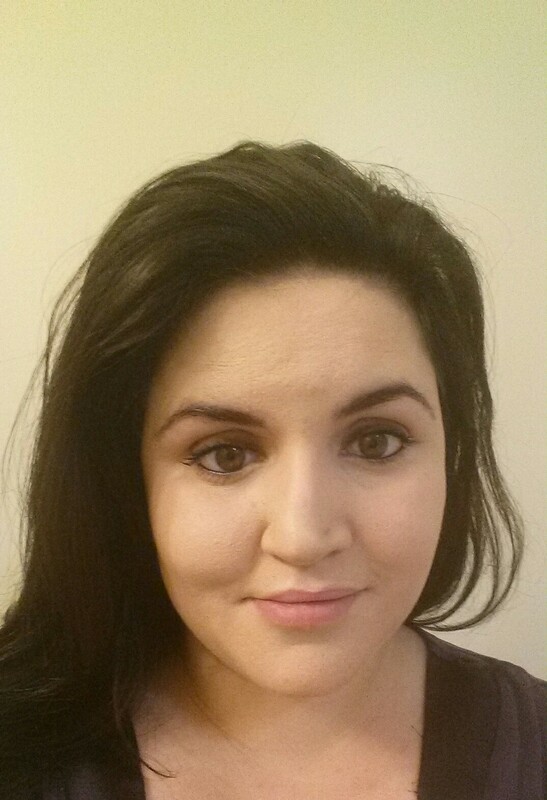 Me with the Neutrogena bronzer- subtle but I love the color. 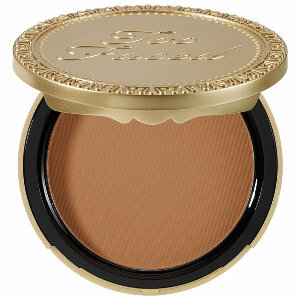 Too Faced Soleil Matte Bronzer in milk chocolate. 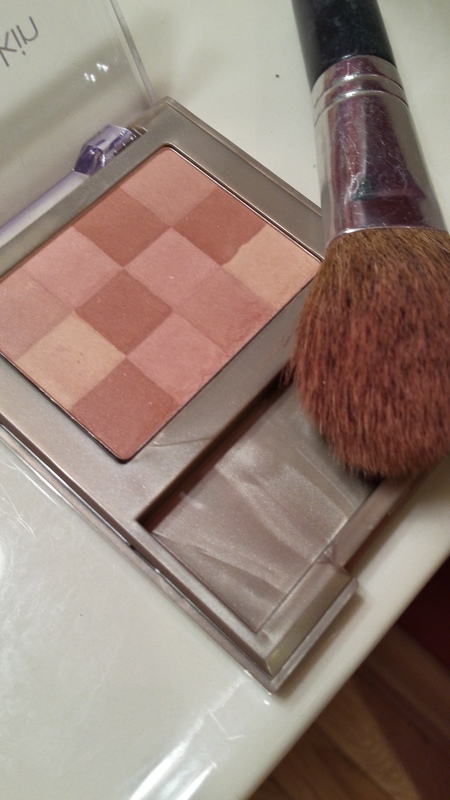 So pretty – I love so I like that this bronzer doesn’t look too sparkly. Just Matte- need it! I want this so badly! Urban Decay Naked Flushed. The combination of three colors- all that are so pretty. And for $32 not too expensive. 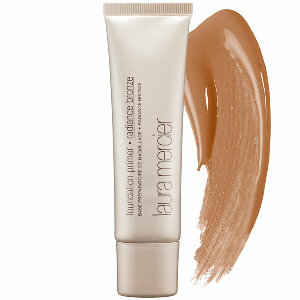 This Laura Mercier Primer looks really interesting. It goes on under your foundation and provides color. Would love to try it. 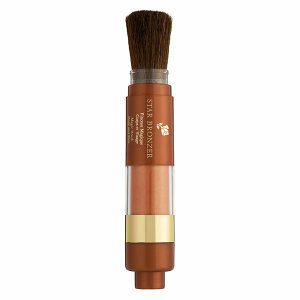 Lancome Star Bronzer Magic Bronzing Brush– how convenient! The bronzer and brush in one. Great to just take in your purse and go! What’s your favorite bronzer? I am always looking for a good one- and I am telling your bareMinerals Warmth is one of them! Today was a crazy day. We woke up at 6:30- thanks to two energetic boys who like to wake up when the sun comes up. We went into Boston for the day. Our boys rode the T for the first time and it was a fun, exhausting day. Boston Common Park, Quincy Market and lots of walking were on the list. I wanted my make up to stay on for a long time- so I went with an old favorite. 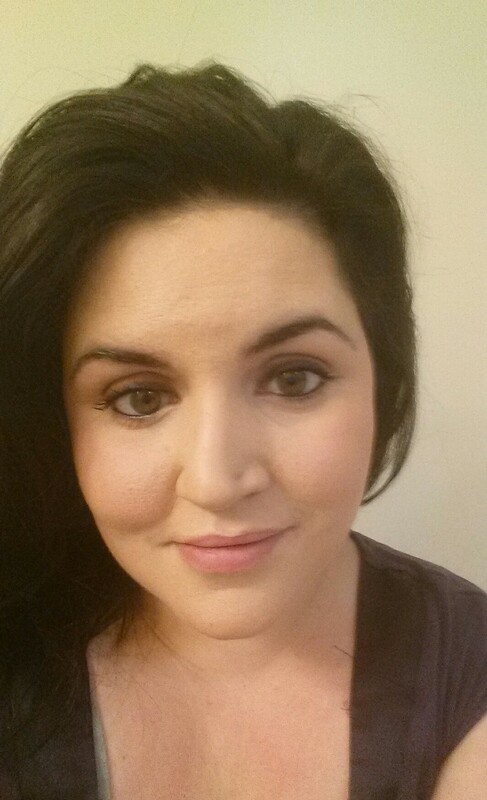 Liquid foundation with Bare Minerals bronzer and blush. Swirl the Bare Minerals brush in whatever powder you are using and then do the tap several times. Don’t use too much product. Use the specific Bare Minerals brush for use. Well I am a rule breaker! I thought I love this brush- I am going to use it with other products. And I love the Bare Minerals blush I am going to use it with liquid foundation. I loved the results. One of my favorite things to do is use the Bare Minerals bronzer warmth and blush in aubergine with liquid foundation and studio fix powder. Warmth bronzer and blush in aubergine. Today I started with Clinique Moisture Surge and Bare Minerals prime time primer. I wanted to have a smooth base because Clinique skin perfecting foundation/concealer is heavy and needs a moisturized base to go on well. Then I used my favorite MAC studio fix power in N5 and the Bare Minerals products. I used the bronzer in warmth all over my face and the blush in aubergine on my cheek bones and the apple of my cheeks. I normally would finish with Bare Minerals clear radiance, but I didn’t have it with me today. With the Bare Mineral bronzer and blush- brightens me up! 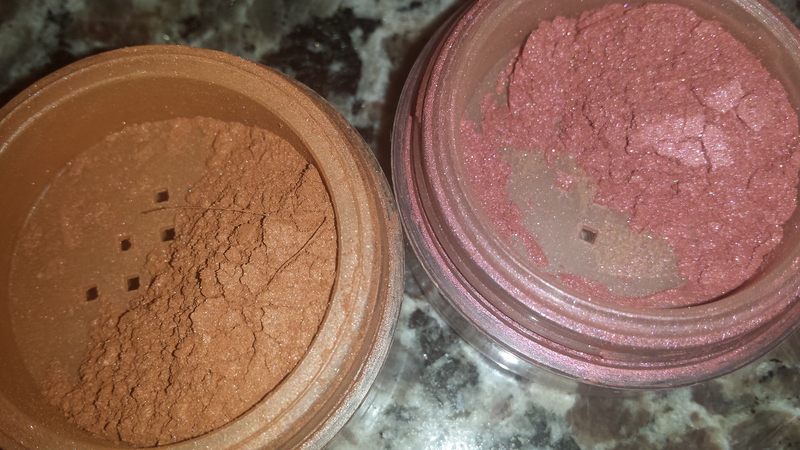 I love the colors Bare Minerals offers. They give that glow we all want, more so than most other brands I have tried. I have found you can mix and match Bare Minerals with other brands and the outcome is great. Breaking the rules sometimes works!